Does the fear of standing up at work and either presenting to colleagues or to clients fill you with dread? Are you a teacher who feels confident teaching a class, but dreads doing assemblies or presentations to the Senior Management Team or parents? Does the thought of having to give a presentation at an interview make you start quaking at the knees? If you can answer yes to any of the above you are not alone! Public speaking is sited as a number 1 fear for a lot of people. If you would like to learn how to present confidently and with credibility; if you would like to be able to control your anxiety, so that your voice doesn’t wobble, your hands don’t shake and so that you can actually calmly give the presentation you have planned to give, then help is at hand. 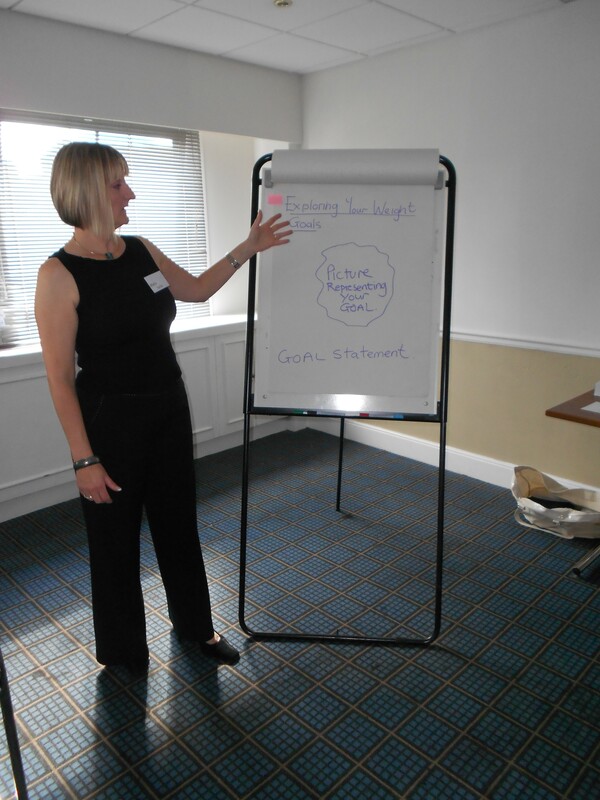 Maria Furtek, Integrated Hypnotherapist, NLP Master Coach & Trainer works with clients from Surrey, London & Sussex shares her experience of working with clients to help them overcome this professional fear. For many people the thought of having to stand up and give a presentation either to external clients, or to their peers, can bring an overwhelming sense of anxiety. So much so, that many of the clients I see will tell me that this is something they have often tried to avoid, or if they have been forced to give a presentation, it has been a painful experience that they are not rushing to repeat. However with such competition for posts and certainly if you desire promotion, then the ability to present calmly, confidently and effectively is becoming a pre-requisite. The good news is, that if you are not naturally confident about presenting, then you can learn how to deliver with panache and credibility and you can also learn how to take control of your anxiety so that you are able to confidently manage yourself through the experience. One such client who was facing the issue of having to “step up” and give presentations at work, was Katie. She had been promoted to Area Sales Manager in her company and was expected to present at team meetings on a weekly basis to about 15 senior members of her team. She said that the worse bit about doing this, was that she knew them all so well and when she stood up to present, she would be thinking to herself “They can hear my voice shaking; they must think I don’t know what I am doing ; they are probably thinking why was she promoted?” and of course thinking these negative thoughts as she stood up to deliver her motivational message, resulted in her blushing, feeling hot and uncomfortable and subsequently not delivering the message which she set out to give. She also said that she would worry about doing the presentation all week, which was starting to impact on her work as well as her “confidence” at work. At our initial session, Katie realised that she thought of being able to “deliver effectively” as a talent that she didn’t have. However, I explained to her that presenting was not actually about having a natural ability in this area, but was actually a skill that could be learned, and the “confidence to present” was a state that I could teach her to “switch on” like a light switch. Thinking of public speaking as a talent that you don’t possess is a limiting belief and will lead to you comparing yourself to others, who you “perceive” to have this natural aptitude. So if you identify with Katie; have been avoiding public speaking, and want to learn how to do this more effectively and with confidence, remind yourself that this is simply a skill that you can haven’t learned yet! But you can: I can teach you powerful techniques to manage your state and take control of your anxiety so that you will look forward to presenting and may even start to see it as an opportunity to deliver your message expertly and to shine! If you are expected to speak publicly as part of your role or your next promotion will require this of you, and you feel your fear is holding you back, then it’s time to “step up” and take action – give Maria Furtek a ring today on 020 8395 5471. Maria Furtek is an Integrated Hypnotherapist, NLP Master Practitioner, Licenced IEMT Practitioner, & Trainer specialising in Anxiety, phobias, Stress, Confidence and Weight Issues.